Just a reminder for those with children of whatever age, that as we come towards Spring – their bodies are gathering pace to the next developmental growth spurts – either physical, mental or emotional – or in combination! During the Half term holidays, Easter holidays and Summer holidays – when they are less focussed on “work” at school, their bodies often take the opportunity to channel some of that energy into other growth! It can lead to “growing pains” at the ends of the long bones, more fidgeting as they try to adjust to changes as they grow, altered concentration levels or emotional outbursts. 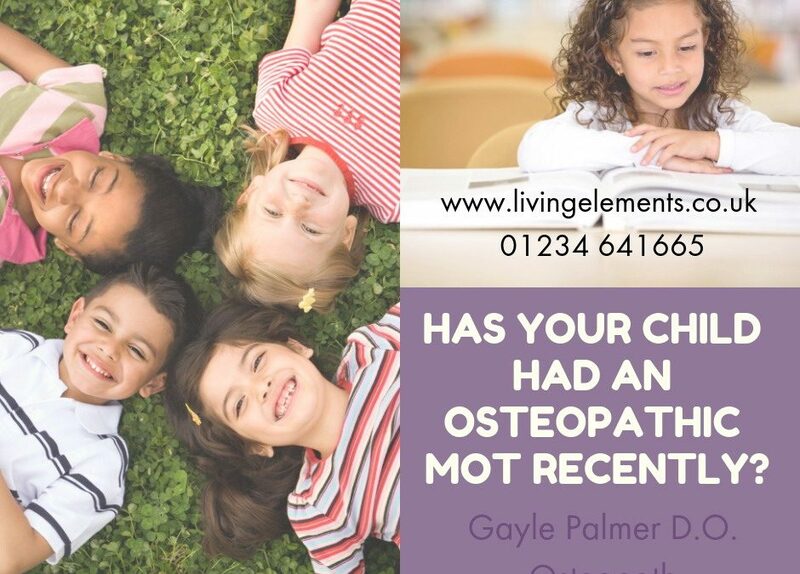 Having an Osteopathic “MOT” regularly with cranial Osteopath Gayle Palmerat the Living Elements Clinic, Sidlesham. PO20 7NL can make the difference between a good start to the term and not. 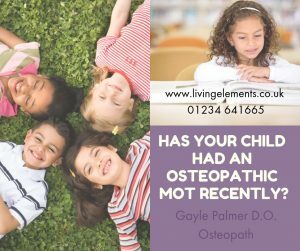 Gayle can also help with accident traumas, exam anxiety etc with advice as well as the Osteopathy. Join the mailing list to receive the latest news and updates from Gayle Palmer.